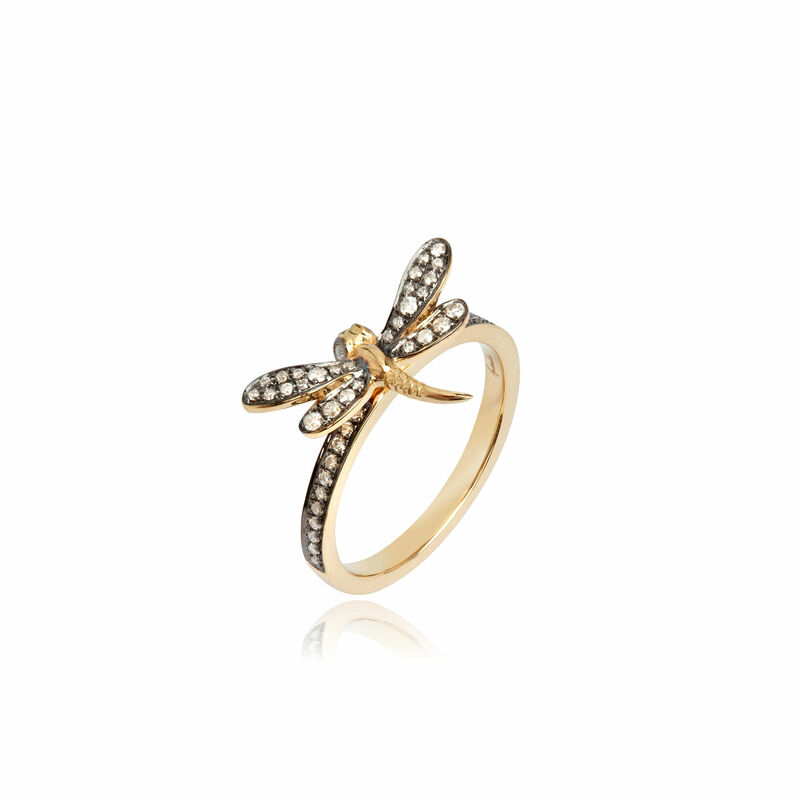 This sparkling dragonfly ring created in 18ct yellow gold is hand set with 56 silver diamonds with a total carat weight of 0.22, complete with a high polish finish and black rhodium. Encapsulating peace and harmony, this intricately crafted ring looks beautiful worn alone or when layered in a stack. Matching Love Diamonds Stud Earrings and Necklace are available.